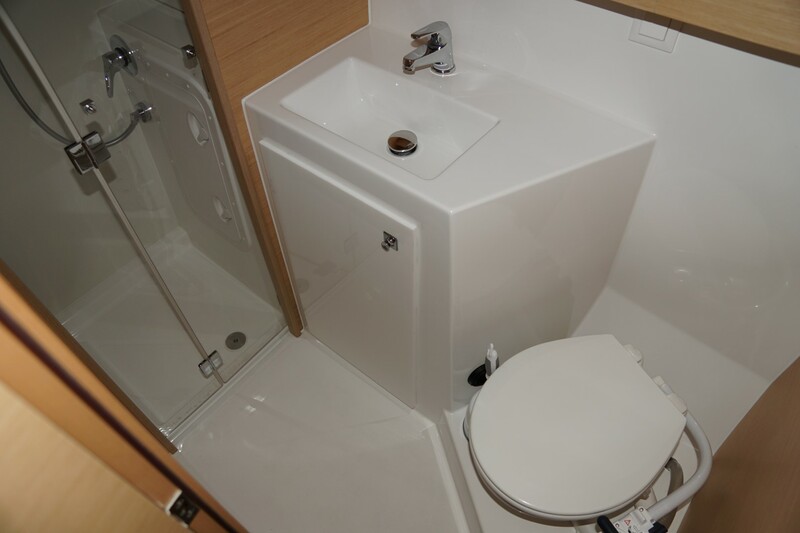 Believe it or not, the onboard toilet use is one of the priorities when it comes to behavior on a sailing yacht. 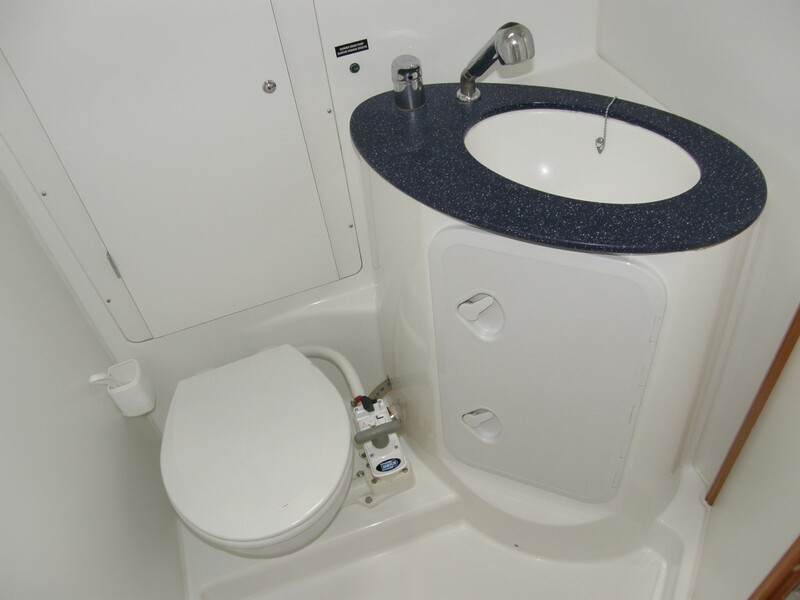 Not only onboard toilets are relatively small and uncomfortable, but their flushing system and outlet are quite complicated and sometimes even problematic. 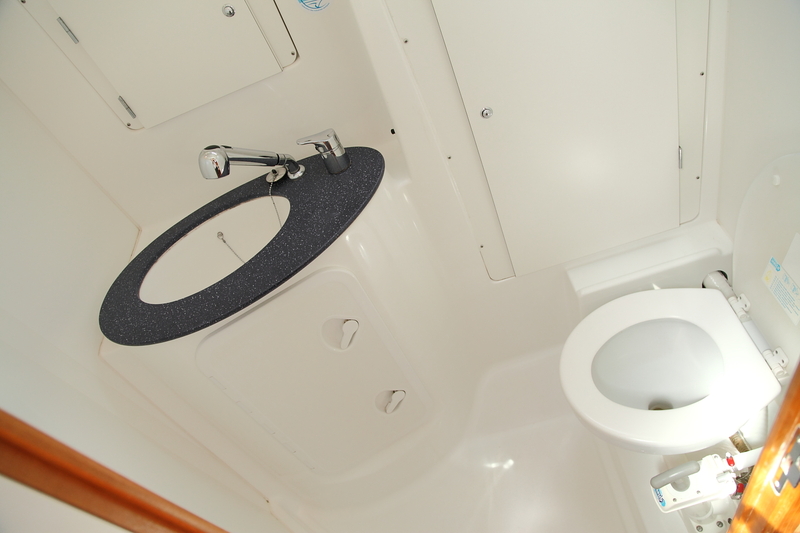 Most of sailing yachts offered for charter are equipped with manual toilet flushing systems. They are quite reliable, but still one has to be careful when using it. Beside every manual flushing toilet, you can easily spot a handle. It is usually on the right hand side from the lavatory seat. The handle is to be used for flushing the toilet, but there is one trick before you start doing it. There is a switch just above the handle. It has two positions. Right-hand side position of the switch is so-called ‘stand-by mode’. In that position the water intake valve is closed, making the toilet safe from clogging. When you are finished with what you were doing, switch it to the left-hand side position. By doing that, the water intake valve is open, allowing seawater into the lavatory. Start pumping vigorously and you will see the water filling the lavatory and covering the results of your previous action. At the same time, the entire content of the lavatory will start getting out of it. After you pumped it for about ten to 12 times, put the switch in the right-hand side position and repeat the pumping. Now, you will support outlet without pumping in additional water. Repeat the complete action (both sides of the switch) for at least three times. Have in mind that outlet hose is quite long and curvy, so it takes more effort and pressure to flush the toilet completely than you might think. When you think there was enough pumping, do the sequence one more time, just in case. The only material allowed in the lavatory is one processed by your body plus the toilet paper. Make sure that you do not throw too much toilet paper at a time. Do not forget that clogged onboard toilet is much greater trouble than you think. Not only it is very complicated and unpleasant to clear it up, but you could also easily be fined for a clogged toilet. One might think that electric toilets are better and more comfortable solution. On the contrary, electric toilets are even more complicated than the manual ones. They use two pumps (one for water intake and one for outlet) and spinning knife system. Throwing toilet paper in electric toilets is absolutely forbidden because it gets stuck around knives by default. That means that you should install extra bag for used toilet paper in the toilet and change it daily. On the other hand, pushing electric toilet too much can easily kill the pumps which is something that you want to avoid. Not every electric toilet uses seawater for flushing, so ask about the system while doing a check-in. In case your toilets use fresh water, you should know from which water tank, so you can control the water consumption precisely. Think twice before you decide to use onboard toilet, it is not ‘a piece of cake’. The third flushing system I have seen in use on the yacht so far is the vacuum flushing system. It seems to be the most efficient, but it is much more expensive than the two systems mentioned above, so one can see it only on exclusive and very luxurious yachts. Once we solved the technique to flush the toilet, we should think about where all the toilet contents go. Classic flushing system considers direct outlet to the sea. It means that flushing the toilet is not recommendable when anchored in the calm bay, especially when someone is enjoying a swim around the boat. The same should be avoided when moored at a marina – use public facilities. Recently made yachts should be equipped with waste tanks. Still, not all toilets are connected to them, so make sure that you ask about toilet installations during a technical check-in procedure. Make sure that you empty waste tanks on the daily basis or whenever you think it is necessary. Again, you do not do it neither on the anchor nor at the marina. Do it underway, far from the coast. The brimming waste tank might burst or even explode. I believe I do not have to explain what it means. 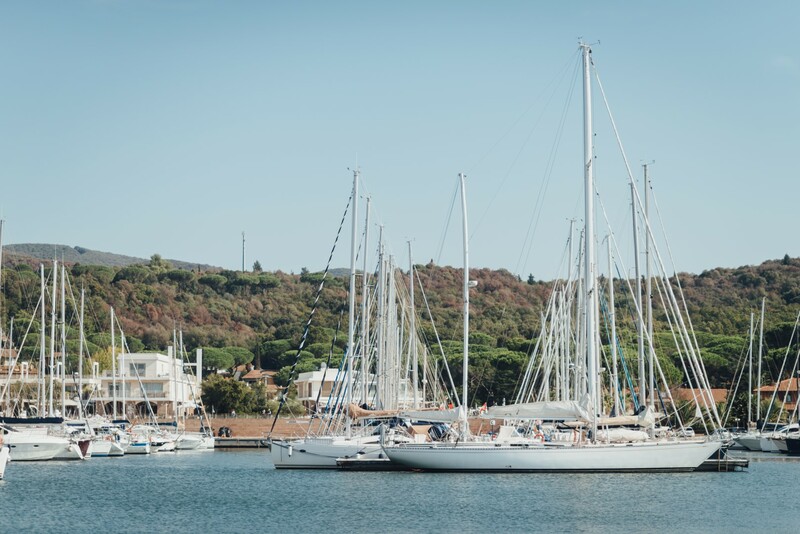 Going for a sailing trip is quite a project, so is the visit to the toilet on board a sailing yacht. General advice would be to use onshore facilities whenever it is possible.